We’re exceptionally proud of the diverse and talented team who work hard to deliver an unparalleled service to our clients. In fact, our customer service is just as valuable as our products. We encourage our team to have a healthy work-life balance, and enjoy a positive working culture. If you think you’d like to become a member of our team, then have a look at our current job openings below. We think Atlas Cloud is on of the best places to work in the North East, but don’t just take our word for it. 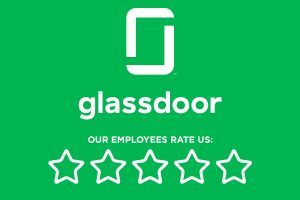 We’re proud to have a 5 star rating on Glassdoor.co.uk where employees and former employees can review us.